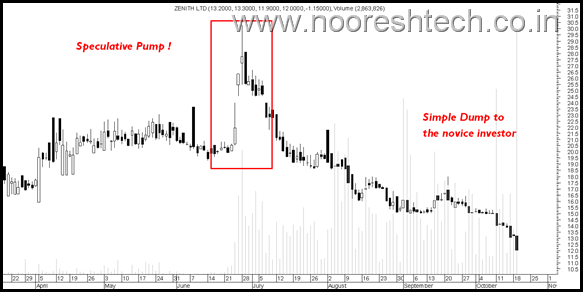 I have been writing on some market manipulations as well as pump and dump stocks for quite some time although its difficult to put in time to elaborate on the same. One of the classical cases of such mistakes being made by small investors consistently is investing in Yash Brila Group companies. The best part is every couple of months there is a company which comes out of the group with glossy advertisements on Business Channels !! and investors still end up buying them. The first one to come on the radar for last few months has been Birla Power and the advertisements keep coming back every few weeks. 1) Birla Power Solutions Limited. On the first look at the name it seems a power generation company but it is not. On the second look the promoter announces a 5000 crore expansion plan for which 1500 crore would be pitched in by the promoters into the SPV ! Whoa the best part market capitalization of the company then was less then 250 crores. Since then the market cap has now come down to 130-150 crores. Stock price - 3.8 on March 2010 on the day of video. Stock price toda - 1.8 ! 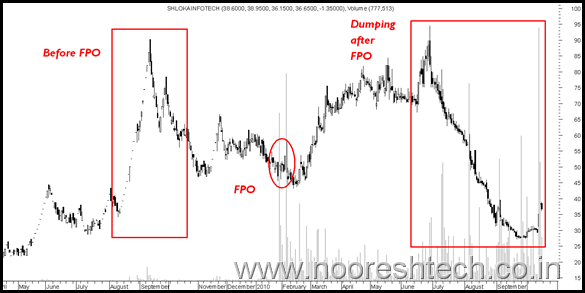 Before that we saw a similar built up on Birla Shloka Edutech and the company came out with a FPO.The stock was rigged up before the FPO to higher levels of 80-100 and then a FPO was done at 45-50 levels. Followed by this with the rosy views stock went up to 80-90 again. Since then the stock has been on a vertical decline to 20s and has recently jumped to 40s. Now first of all why did the company split from 10:1 after IPO was a serious matter of concern. Also the general investors dont understand that majority of the brokers charge 5 paise fixed so one ends up paying 11% in brokerage in this trade!! Whoa how stupid would be to buy something at that brokerage. The stock did rally from 0.9 to 1.35 which is basicaly speculation. What was interesting is after the move there were advertisements on the Business Channels like CNBC talking glossy things about the company. Followed by that the stock fell by 40% ! Why does the stock go down after such rosy advertisements ! The next on the radar was Zenith Birla. Yet again the same methodology. Stock moves up in a speculative manner followed by which nice advertisements giving big expansion plans, bonus etc come on the business channels. 1) Why would a company spend so much on advertising on a Business Channel. Isnt that a useless expense. Why is it not spending money on selling its products. 2) The company announces rosy announcements and expansion plans giving high growth expectations. 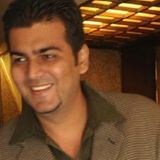 But there is no need to sell the story to the viewers of a business channel who are majorly the normal retail investor. There is hardly any company presentation for the institutions if the company needed to raise money. 3) Every few months there is an advertisement on one of the group companies. 4) The best part is all the stock are first pulled up by 30% before the advertisements. 5) The bestest 🙂 part the stock falls by 40% after the advertisement with high volumes ! You are really helping a lot to the innocent investors. May GOD bless u with more intelligence so that u can guide us and May GOD give u health, wealth and all u want in your life for your such good acts (by writing such informational articles. Dont consider my view as a decider but do dig a little more before you invest. Once you mentioned birla cotsyn in your reco and then stock rallied from .85 to 1.45 and now stock is back to .85. I am still not able to figure out how you did that? Was that technical? becoz if technical dere are lot of stocks which are stucked like this like Sanraa media? 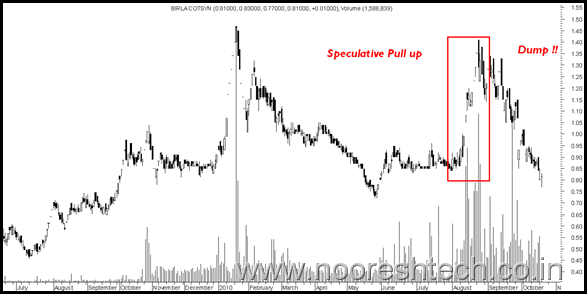 Well it was based on technicals seeing the speculative volume built up. But such stocks have similar patterns of pump and dump. Expo gas is one of them now. Cranes software Zee Business breaking story co getting nucleur energy software orders soon within 5 minutes it skyrocketed to 35 after one hour sold out on big volume.Promoter integrity withheld results sold stake now 17 percent to 3 percent.Now talking of infusing funds.Yash Birla is still better this Birla belongs to big group or some namesake we do not know.In fact 60 percent stocks small cos without any cash flow is thugy.Your disclaimer speaks volumes as it is difficult to speak against. innocent investors and one day nature may punish these people in its own way. Pump show is felt in Ksera likely pumping candidate Tricom. There is live example.Zee business broke news cranes software getting large orders soon in one hour stock went 29 to 32 levels sold into same day on large volume.We were trapped did not sell it ended bottom at 5.7.FIIs exited enmasse Promoter sold stake 17 percent to 4 percent.No regrets as some banks are also trapped.Around 29 level trading shown 25 levels next day seen large lower shadow candle.Thought lower shadow eliminates selling preassure but went otherwise.Now learnt from a tip by Martin Pring lower shadow area is battle zone do not touch it till battlefield is cleared.Learnt a lesson of life Sell even i fone day prior lowest is violated.This episode has made me wise after losing good amount of money. The simplest reason is never catch a falling knife. Hi nooresh, good job with highlighting the scoundrels, question is how can we beat them at their game, answer- is to gang up and expose them, real strategy is to buy when they buy and sell before them , make only HALF the profit that they plan to make, on this theory i hold birla shloka edutech, and will sell at abt 100, as yash birla plans to take it to 200 (grapevine news). You cant beat the promoters at their own game 🙂 All you can do is take care.